The integration of PTC Integrity and PTC Windchill Requirements Management has been extended to provide enhanced capabilities and a more seamless support for requirements objects and processes. 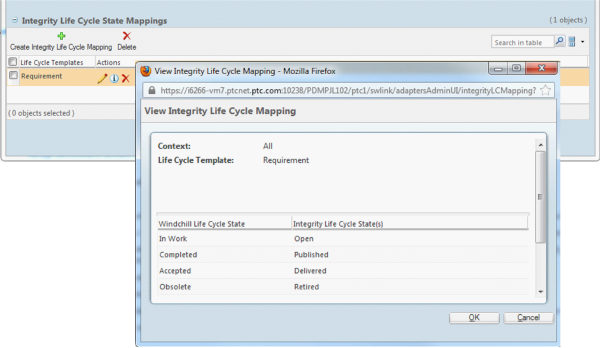 Windchill administrators can create and configure life cycle state template mapping for Requirements objects for different Windchill contexts. 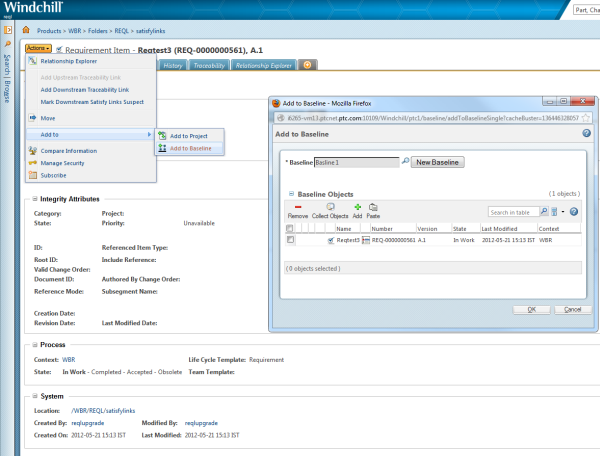 Life Cycle mappings can be created using the Adapters Administration utility in Windchill. New Windchill Diagnostic and Report-based utilities (WinDU/WinRU), including an Administration utility, support and maintain requirements subtypes created in various customer deployments. These utilities also configure the data model mapping of these types for customer-specific needs. 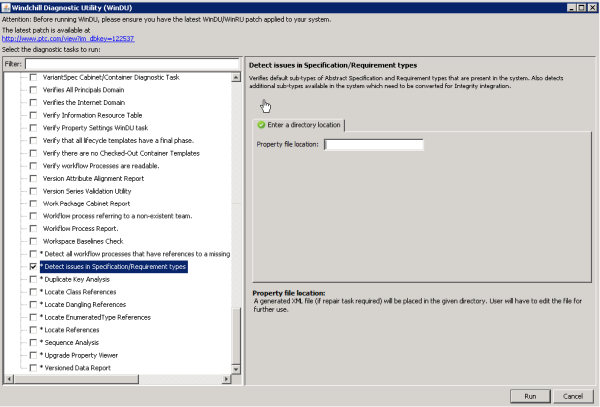 If a repair task is required, an XML file is created in the property file location specified in the WinDU task. Users can edit the WinDU task in any editor. 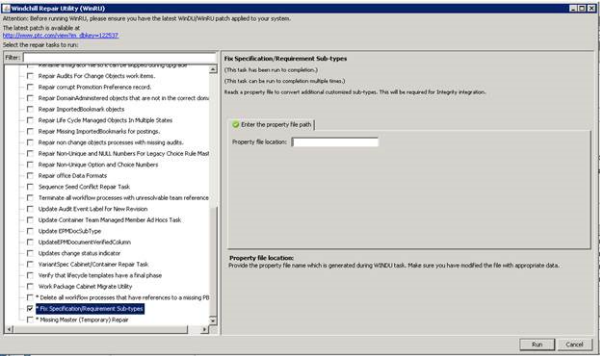 Allocate or Satisfy traceability links can be created between requirements and EPMDocuments directly from the Establish Traceability function in Windchill. 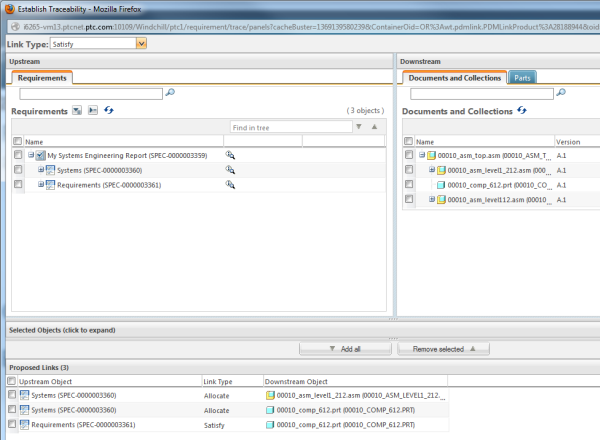 Baseline objects can be created and managed in PTC Windchill for Requirements Management. These objects are independent of the baselines created in Integrity. The Requirements Traceability Matrix report lists any suspect flags for specification documents. 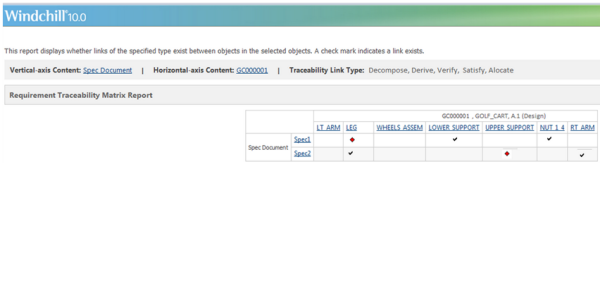 Users can view cross-context visibility on suspect flags.